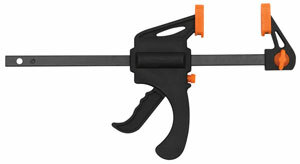 When light tension is required for delicate hobby projects, the Excel Quick Clamp is the clamp for the job. A 4" notched jaw opening applies proper tension, by means of a simple, light, trigger-action mechanism, while a quick-release button doubles as a fast free-positioning mechanism. 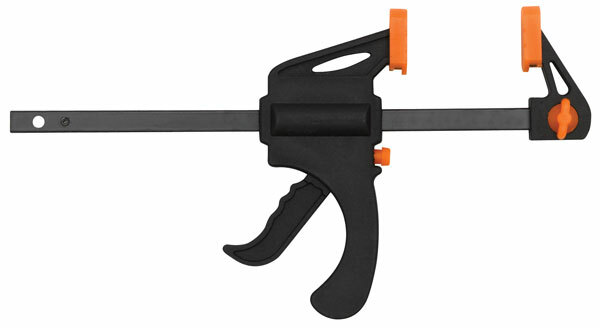 The Excel Quick Clamp can be quickly attached by use of an easy-to-use thumb screw that allows for use as a compression clamp or an expansion clamp. Ribbed grips assure secure positioning.